Described as one of the “Ten Best Historic Holiday Tours” by USA Today, Lyndhurst goes all out during the holidays with “A Very Duchess Holiday.” Lyndhurst is elaborately adorned with an over-the-top display of holiday ornaments but we also pay homage to a real French duchess, Anna Gould, the Duchess of Talleyrand, the last owner of Lyndhurst. For the last month of the year, we bring out rarely seen children’s toys, holiday dishes, silver, jewels, and clothes that belonged to the Duchess to create vignettes of holiday presents and baubles. 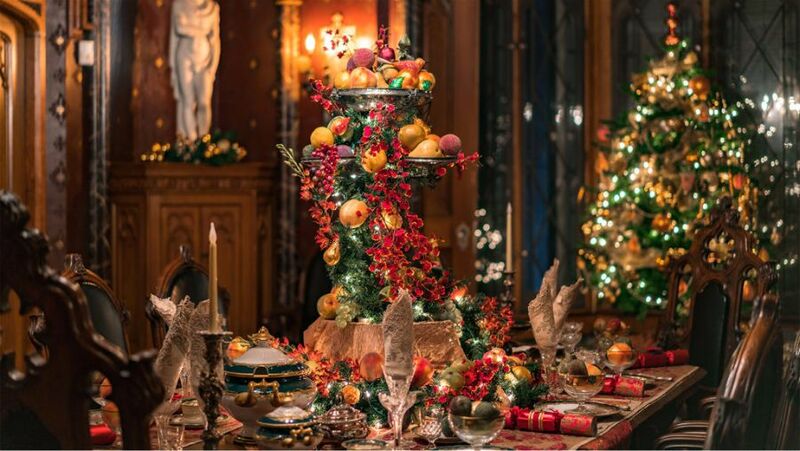 This is a once-a-year opportunity to see many of the Goulds’ glittering possessions that are usually tucked away. At the Old Dutch Church of Sleepy Hollow, you’ll experience the tale of Ebenezer Scrooge like you never have before! We’ll nestle into the historic Old Dutch Church and let master storyteller Jonathan Kruk, along with musical accompaniment, regale you with his adaptation of this Charles Dickens classic in Dickens’s A Christmas Carol. An enchanting hour-long production of The Nutcracker featuring the wonderful acoustics and sightlines of the historic Queen Anne style Tarrytown Music Hall. New York Theatre Ballet has earned national attention for its artistry and elegant restorations and revivals of masterworks by great choreographers. It is equally committed to performing innovative hour-long ballets based on children’s literature for family audiences. In October 2012, NYTB reprised their sold-out performance with The New York Pops at Carnegie Hall with a suite of dances by Agnes de Mille from her best-known Broadway musicals. 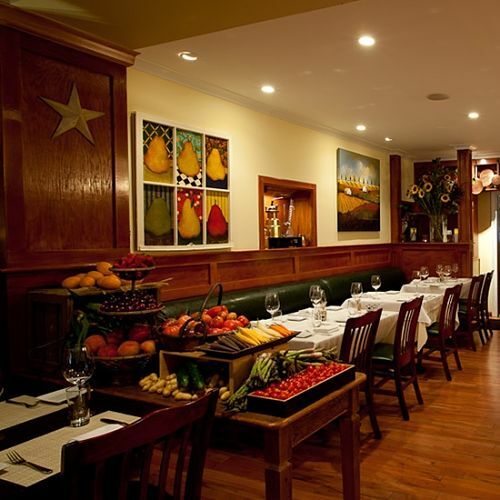 Nestled in the center of Historic Tarrytown’s Main Street, Tarry Tavern is the renewal of the classic American tavern. Elegant English red oak paneling, warm and butter-colored walls, and a richly lacquered bar welcome guests. The well-displayed plenitude of copper pots, farm field paintings, fresh fruits, and seasonal flower arrangements give Tarry Tavern the feel of a country farmhouse, albeit one that is sparkling, bright, and cheery. The menu showcases the bounty of the Hudson Valley, largely inspired by the seasons and local produce. Their selection of 12 draft brews, mostly craft and predominantly American, as well as their thorough wine list will be able to please even the most discerning palate. Pick-up and drop-off from Tarrytown train station or your Tarrytown hotel. All transportation within tour included. * Glass of wine or beer included. RESERVATIONS REQUIRED. Only 6 spots available. Reserve now!